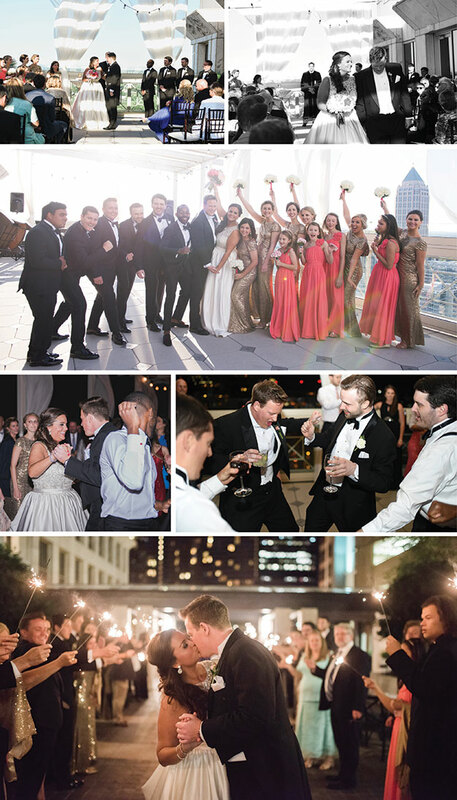 Friends, I am so excited to share Zara Gray and Bradley's amazing wedding day with you! So many beautiful details! Aren't the centerpieces absolutely incredible?! And of course the bride's stunning ball gown! 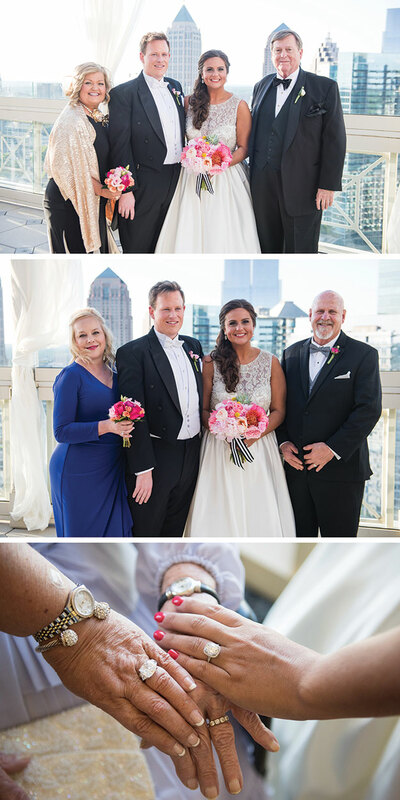 Zara Gray and Bradley were married atop Midtown Atlanta’s Peachtree Club. Zara Gray and I worked on her invitation suite earlier this spring. a beautiful floral liner by KLynxDesigns and her mother created the beautiful seal. 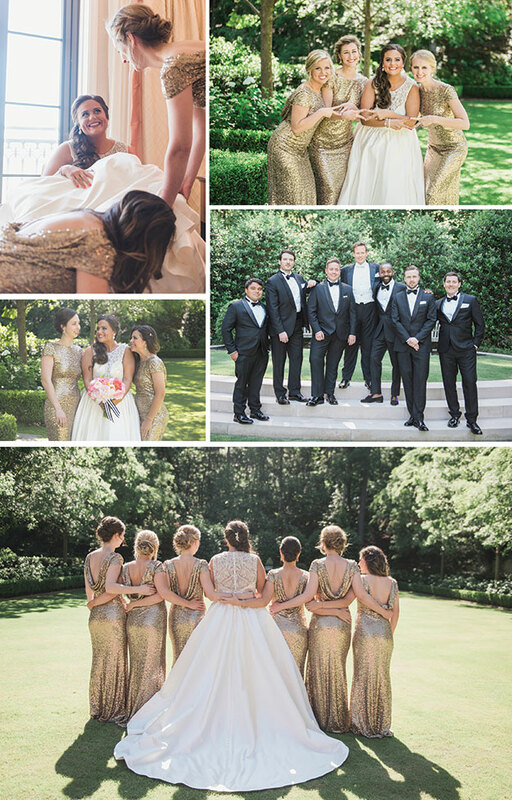 I am particularly in love with the gold and coral color palette used in the flowers and the bridal party's dresses. This color combo is a perfect mix of formal and fun. 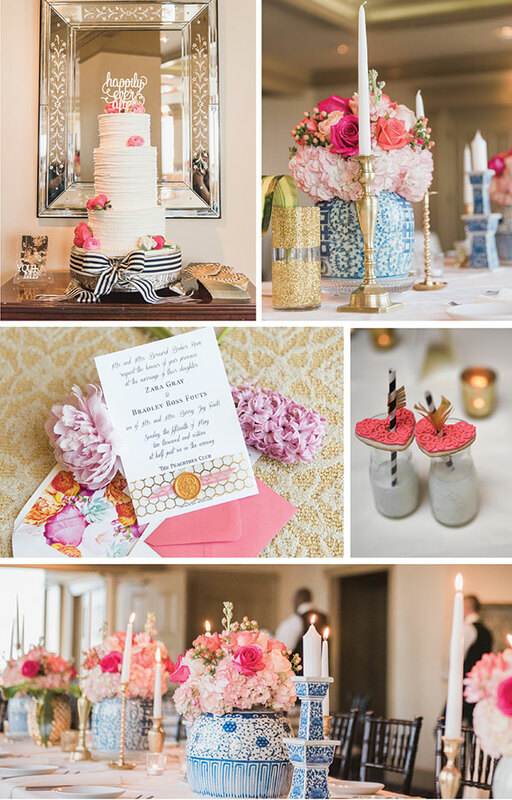 Their photographer, Kristin Faye Photography, did such a gorgeous job capturing the beauty and love on their big day! You can see even more details on her blog, here.